If you recall from an earlier post I had mentioned that had I won tonight's $15 million jackpot I would give 10% to the OI Foundation. Well I hate to be the bearer of bad news, but this blog will have to go to work on Monday. 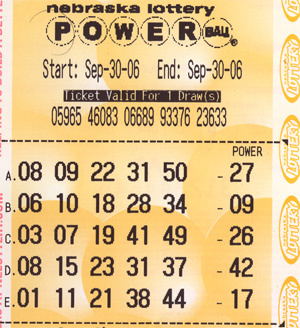 6 15 30 32 39 and the powerball was 5. Someone out there actually did win tonight, as it happens this is the third winner in as many drawings. Well, at least we tried.